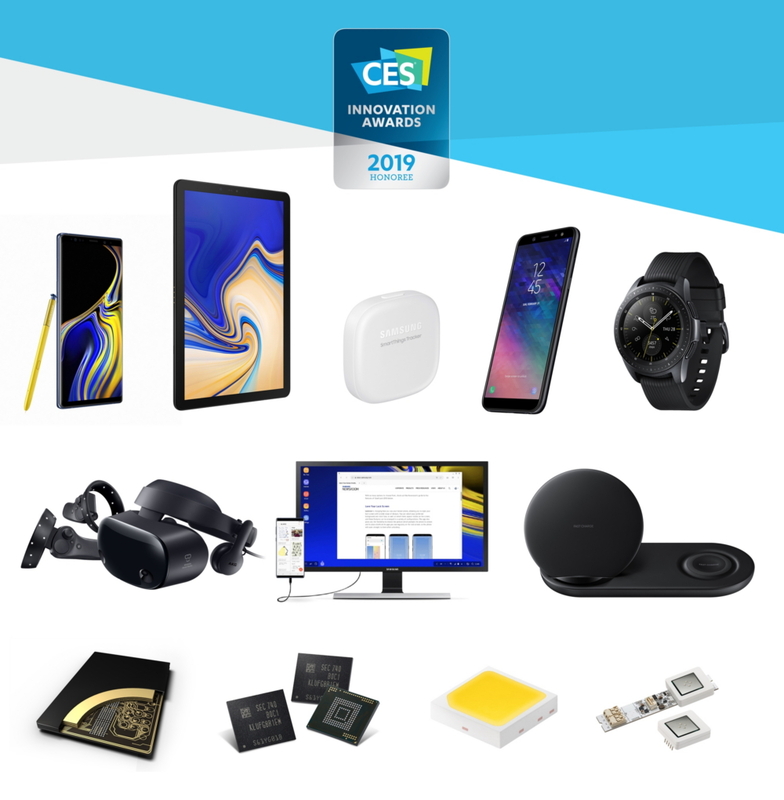 Samsung Electronics, a global leader in technology, announced today that 30 of its new product innovations have been recognized as CES® 2019 Innovation Awards winners, including two Best of Innovations accolades. This prestigious program honors devices and services that display outstanding design and engineering in cutting-edge technology. The awards highlight Samsung’s heritage of achievements in developing groundbreaking innovations that propel the industry forward. This year, Samsung’s award-winning honorees span a range of categories including Visual Display, Fitness, Sports and Biotech, Wireless Handset Accessories, Smart Home, Virtual and Augmented Reality, Computer Hardware, Components and Peripherals, In-Vehicle Audio/Video and Sustainability and Eco-Design. Samsung Galaxy Note9 – The Galaxy Note series has long been recognized for launching Samsung’s latest groundbreaking innovations. The super powerful Galaxy Note9 builds on this legacy with a premium smartphone that delivers all day performance. With a powerful, all-day battery1, a new S Pen that features Bluetooth Low-Energy connectivity, Samsung’s most intelligent camera yet, and up to a terabyte of storage2, the Galaxy Note9 is the phone powerful enough to keep up with your busy life. 1Average expected performance based on typical use. Actual battery life depends on factors such as network, features selected, frequency of calls, and voice, data, and other application-usage patterns. 21TB requires compatible 512GB SD card (sold separately). Compatible 512GB SD card expected fall 2018; availability may vary by country. Actual storage space availability may vary depending on pre-installed software. 3LTE-M is also known as LTE CAT-M, CAT-M or CAT-M1. 4Compatible with smartphones that support Android 5.0 and up; iPhone 6 and up with iOS 11 or later.